Considering that there are more than 4,000 varieties of tomatoes available, it can be quite a project for a gardener or farmer to decide what types and varieties to grow. But don’t worry – we’re here to help! We’ll simplify the vast amount of tomato info so that you won’t have to try to digest it all yourself. To help you decide which types are best for you, we’ve come up with a handy quiz that will quickly determine whether you should concentrate on open-pollinated types or hybrids. Click here to take our 5 question tomato quiz. All right, now you know which of the two broad types of tomatoes are best for you. The next step is to determine which varieties to get within that category. To help you decide, simply read on, skipping to the category that best suits you. Technically speaking, open-pollinated are tomatoes that were pollinated naturally by the bees and the wind. The only breeding they have been subjected to is the selection process that has naturally taken place as growers saved seed from plants they were happy about, and discarded seed from plants they didn’t care for. Over time, varieties that exhibited the best qualities were replanted and preserved, while plants with less desirable qualities fell by the wayside. That a grower would be able to save seeds used to be a given, but with the advent of hybrids (which produce plants that are not true to type), the ability to save seeds is now is considered an advantage of open-pollinated varieties. People generally save seeds in order to reduce expenses, live more self-sufficiently, and support crop diversity. Many people also like to grow open-pollinated varieties because of their superior taste. Other enjoy their unusual size, shapes, and colors. 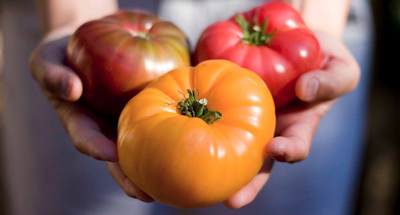 Heirlooms are simply open-pollinated varieties that have been handed down for many years. How long a variety has to be handed down in order to be called an heirloom is not strictly defined, but the range is generally considered to be between 50 and 100 years. Some heirlooms date back even longer than that such as the Brandywine Red, which has been around since 1855! One of the interesting things about heirlooms is that you are not only growing a tomato but you’re tapping into a history. Often that history is quite elaborate, and there are some fine books available that go into depth as to the origins and history of the most notable heirlooms. Master Gardener Renee Shepard writes that the Brandywine Red is widely considered the tastiest heirloom, but other heirloom experts beg to differ, even if only slightly. In her beautiful coffee table book The Heirloom Tomato From Garden to Table, acclaimed food writer Amy Goldman discusses the origin and history of two hundred heirlooms, comparing and contrasting them, and also rating them. We carry two varieties that she ranks among the very tastiest: Brandywine Yellow and Black Krim. Another excellent source of heirloom information is Dr. Carolyn J. Male’s book 100 Heirloom Tomatoes for the American Garden. The author, a professor of microbiology, goes into detail about the history and pedigree of many different heirlooms like Brandywine Pink, Box Car Willie, Amish Paste, Cherokee Purple, and Mortgage Lifter, just to name a few. Hybrids are the direct result of crossbreeding two or more different varieties with some specific purpose or purposes in mind. For example, a highly disease-resistant variety might be combined with a strain that produces very tough skins to produce a disease-resistant tomato with a thick skin: just what a commercial grower who ships long distances would need. And, in fact, big producers grow hybrids almost exclusively because there are varieties that are high-yield, disease-resistant, and produce highly uniform fruit that travels well and will not split. For example, the Burpee Big Boy, which was released in 1949, still is a bestseller due to its abundant yield of flavorful fruit. We also sell the Big Beef, which tops even the Burpee Big Boy in productivity. The Better Boy is another great hybrid whose superior disease resistance offers it protection against the triple threat of Verticillium, Fusarium, and nematodes. Mountain Fresh Plus is one of the few varieties that is not only resistant to Fusarium and nematodes, but also to early blight. If you want to choose a variety based on its resistance to a particular disease or pest challenge, you will find this chart from the Cornell University Department of Plant Pathology to be very useful. Last but not least, don’t forget about cherry tomatoes, which we carry in a variety of colors ranging from red and yellow, to brown, and even black. One of our yellows, by the way, is none other than the Golden Nugget. All of these cherry tomatoes will thrive with less attention and care than full sized tomatoes, and because the fruits are lightweight, most cherries will grow just fine without the need for staking. What Does A Tomato Horn Worm Look Like? I did not see June pink on the list I love pink tomatoes any recommendations? 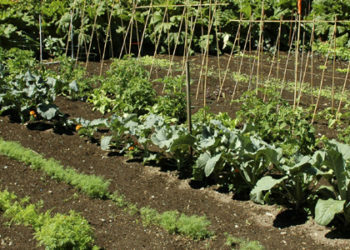 Want to grow your best garden yet? Join our mailing list for exclusive discounts, easy how to’s and expert growing tips.